Have you ever gotten into one of those conversations where everyone starts swapping tales of their death-defying deeds, and then before you know it somebody’s rolling up a sleeve, and before you know it you’re in a full on game of “who’s got the coolest scar?” That can be a little intimidating for those of us who have led a reasonably calm and cautious life. There’s plenty to be said for taking the careful route and avoiding the kinds of activities that lead to really memorable scars, but on the other hand nobody likes to feel left out. But before you go out looking to get yourself slashed and sliced, maybe consider elevating your wound game in a less permanent way. These prosthetic claw marks are a wound that would do any danger-lover proud, and the best part is there’s no actual injury required. 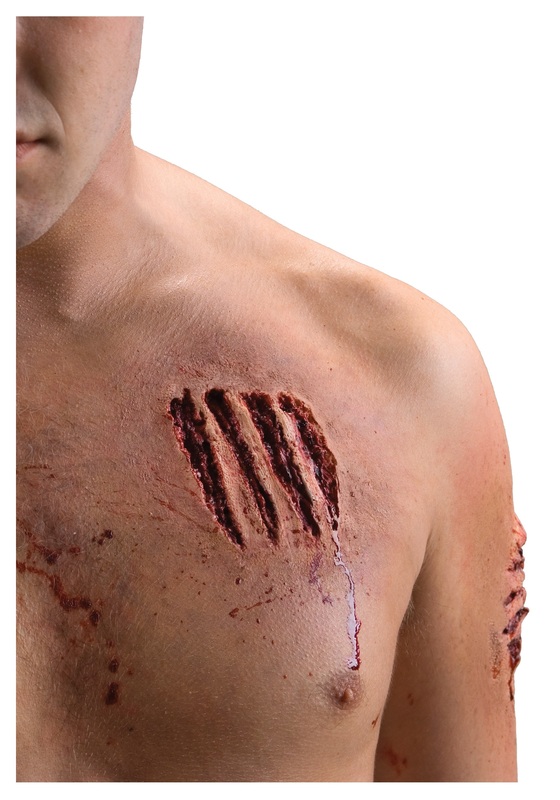 Just affix the two sets of claw marks to your skin using the included adhesive, apply some smears of artificial blood, and presto - you’ve got the kind of battle wounds that can make even your gnarliest friends do a double take. We suppose we can’t stop you from going out and getting scars the old-fashioned way if you’re really determined to do so, but if it was us, we’d go for the prosthetic every time.